This year a new award (the Volvo Irish Sailing Sustainability Award) was presented to joint winners Royal Cork Yacht Club and Howth Yacht Club for innovative ideas when thinking about the environment and sustainability. From providing sailors with reusable water bottles at events, using compostable food and coffee containers, paper straws, online documents, to organising rubbish collections from their local waters and giving educational talks, both clubs invested much energy into reducing the impact sailing has on the environment, and worked with young sailors, members and their local communities to create sustainable sailing practices. 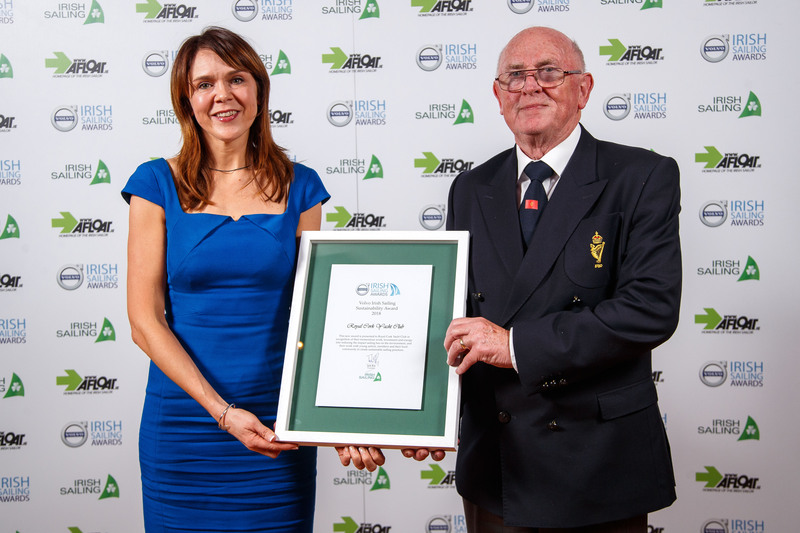 At Volvo Cork Week 2018 the Club attained the Gold Certification from the International ‘Sailors for the Sea’ Clean Regatta programme with the event sustainability partners MaREI Centre for Marine and Renewable Energy and An Taisce’s Clean Coasts programme. The Clean Regattas programme is the world’s only sustainability certification for water-based events. The initiative helps people run more environmentally friendly events to protect local waters and beyond, raising the bar for ocean health around the world. In addition to the Royal Corks environmental and sustainability work during events, the Club also collaborates with MaREI who came in to talk to our young sailors during our sailing courses about caring for the marine environment. The talk entitled Ocean Devotion covered the importance of the sea to our lives – for providing food, transport, leisure and oxygen – why we need to care for it, and how we can take action. 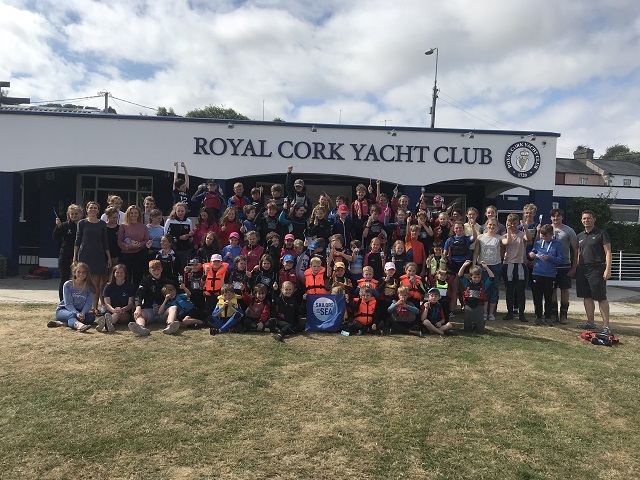 MaREI have delivered ocean literacy outreach activities at the Royal Cork Yacht Club for the last 3 years, a collaboration which led to the Club running Volvo Cork Week 2018 as a Clean Regatta, a certification from the Sailors the Sea program. SCORA runs Sailwave results software training day at Royal Cork.